Our inaugural Beer & Cider Tour was a runaway hit in 2015. This year, we hope to build on that success with an expanded lineup of local producers and pubs sure to please the ale and cider enthusiasts among us. Returning beer and cider presenters include the outstanding: KelSo Beer Co., Gun Hill Brewing, Catskill Brewery, and The Bronx Brewery. 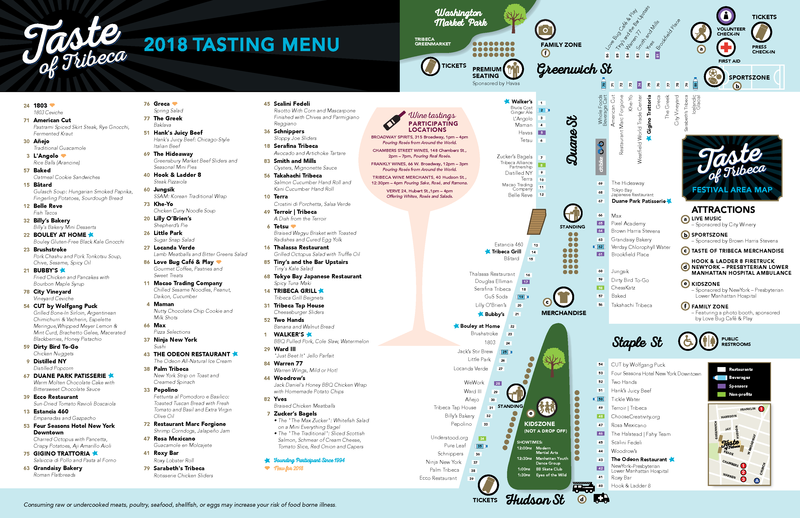 New to this year’s festival are a whopping ten new local producers, including: Sixpoint, Chatham Brewery, Original Sin Cider, Brooklyn Cider House, Descendant Cider, Doc’s Cider, Greenport Harbor, Rockaway Brewing Co., Ommegang, and 212 Brewing Co. Excellent pubs returning from last year include: Church Publick, Reade Street Pub, The Hideaway, Warren 77 and Woodrow’s. New in 2016 are neighborhood favorites Edward’s, Bar Cyrk, Tribeca Tap House and Bubby’s. We hope to shine a spotlight on these local producers and drinking establishments, as well as our outstanding lineup of Tribeca restaurants, this week and next as we enter the final two weeks before the festival. Please follow us on Facebook, Instagram and Twitter for the latest announcements about Taste of Tribeca 2016, and click through to the “Tickets” section of this website to buy your tickets now! We can’t wait to see you at the festival!